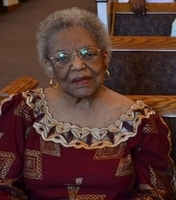 Provide comfort for the family of Olive Williams with a meaningful gesture of sympathy. After 22 years, she retired from the former Convalescent Home for children (now Crestwood Children’s Center). 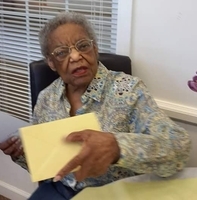 During her career at the Convalescent home as a Socio-therapist she was awarded a full scholarship to MCC/Human Services Program where she graduated with honors and later taught a class for a semester. 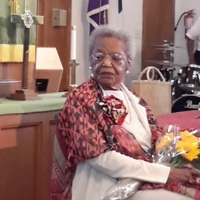 She also pursued studies at St. John Fisher College in Diversity and Aging; Genesee Ecumenical Ministries (GEM) and Lay School Theology and Ministries. (Program for Education and Action Responsible Leadership-P.E.A.R.L) at Colgate Rochester Divinity School, in 1995 and was offered a part-time position as the On-Site Administrative Assistant for P.E.A.R.L. 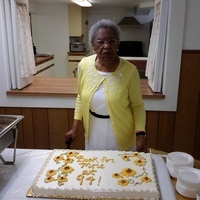 She also worked part-time as a secretary for the Black Church Studies program and the Community Liaison office at Colgate Rochester Divinity School. When She wasn’t volunteering she was reading her Oprah Magazines or watching Oprah and The Chew. She was predeceased by her parents Roy and Ruth Bell, brother Vincent (Mamie) Bell, sister Marguerite (Franklin) Lucas, daughter Olive Ruth Bedford, Niece Bonnie Lucas-Carr, and Nephew Gregory A. Lucas. She is survived by Nephew Gary F. Lucas, Nieces Marguerite (Shelley) Lucas and Debra Lucas, and many Great nieces and nephews and very dear friends. We encourage you to share your most beloved memories of Olive here, so that the family and other loved ones can always see it. You can upload cherished photographs, or share your favorite stories, and can even comment on those shared by others.